The agreement permitting Germany's annexation of the Sudetenland was signed on Sept 29, 1938. Hitler had previously started rearming Germany in defiance of the Treaty of Versailles, reoccupied the Rhineland in 1936 and annexed Austria in 1938. He was now determined to seize the Sudetenland, which was in Czechoslovakia but had a substantial German population and important industrial resources. It was clear he would do so by force if he had to and that the Czechs by themselves had not the faintest hope of resisting him. He had told his generals in May that he intended ‘to smash Czechoslovakia by military action in the near future’, though some of his confidants got the impression that at this point he did not want a general war. Chamberlain had gone to Germany twice in September to discuss the situation with Hitler, at Berchtesgaden and then at Bad Godesberg, where Hitler demanded not only the prompt German annexation of the Sudetenland but that all the Germans elsewhere in Czechoslovakia should be allowed to join the Third Reich. On the 20th he told the Hungarian prime minister that he was sure the British and the French would do nothing effective, and he was right. Like almost everyone in Europe, including most Germans, Chamberlain thought that practically anything was preferable to a repeat of the war of 1914-18. He misunderstood Hitler, who he believed could be appeased by suitable concessions and neither he nor the French saw good reason for a war to preserve Czechoslovakia, which had only been created in 1918. 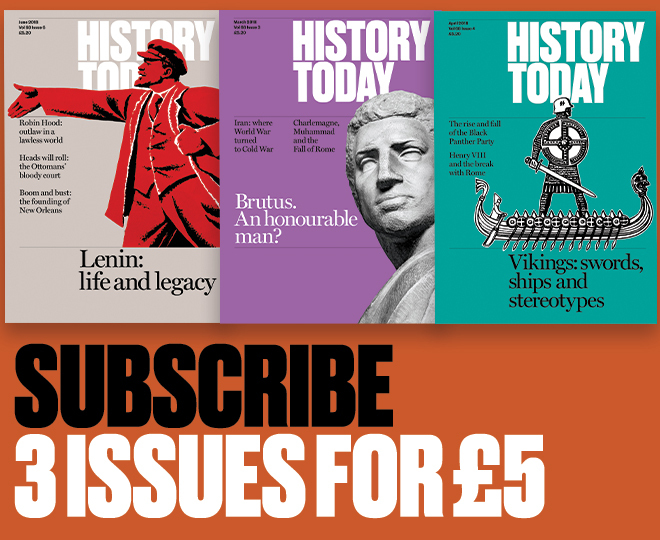 At the same time, if the quest for peace failed, Britain needed to buy time in which to rearm, though this inevitably meant giving Germany more time to continue rearming as well. No Czech representative was invited to the conference. 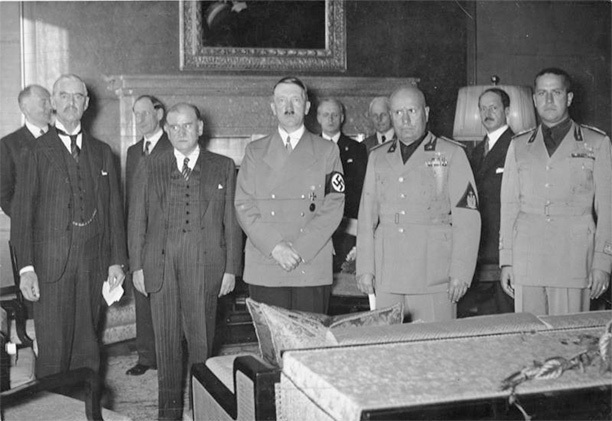 Chamberlain had asked for the Czech ambassador to Berlin to come to Munich as an adviser, but he was not allowed in the same room as Hitler. On the night of September 28th a Czech government statement agreed to cede Czech territory where 50 per cent or more of the population were German, but protested against the demand for a plebiscite in areas without a German majority. As part of the Munich agreement all predominantly German territory in Czechoslovakia was to be handed over by October 10th. Poland and Hungary occupied other parts of the country and after a few months Czechoslovakia ceased to exist and what was left of Slovakia became a German puppet state. When Chamberlain left Munich, Hitler reportedly said, ‘if ever that silly old man comes interfering here again with his umbrella, I’ll kick him downstairs’. However, the French and British premiers had flown home in triumph to tumultuous welcomes from their peoples, who felt huge relief that another European war had been avoided. Chamberlain went straight to Buckingham Palace where he appeared on the balcony with George VI and Queen Elizabeth to the plaudits of the crowd below and then to Downing Street, where he told the admiring throng, ‘I believe it is peace for our time’. This soon proved to be one of history’s most celebrated misjudgements.